After lunch with the girls yesterday, Squeaks and I went to Sur la Table in Carlsbad. 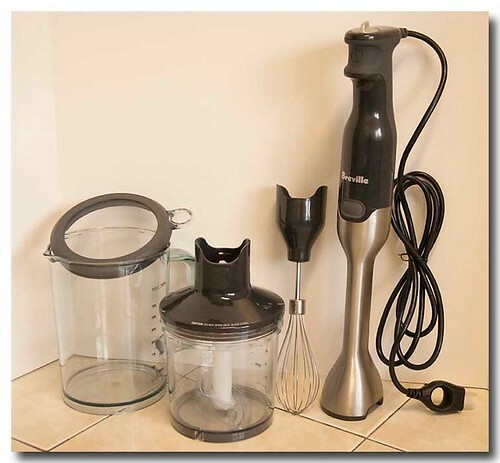 I was on a mission, I had to get the Breville 15 speed immersion blender. It can even crush ice. I love the variable speed capabilities of it and the large pitcher. Want to see what else I got? 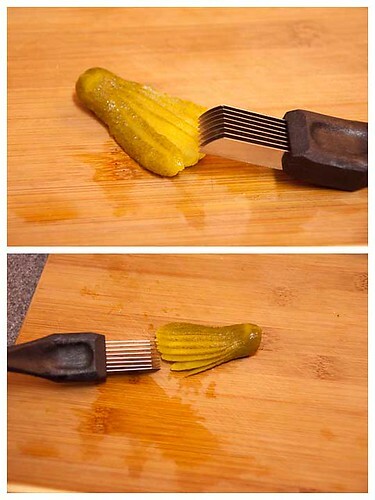 Like I really need an 8 blade pickle knife. 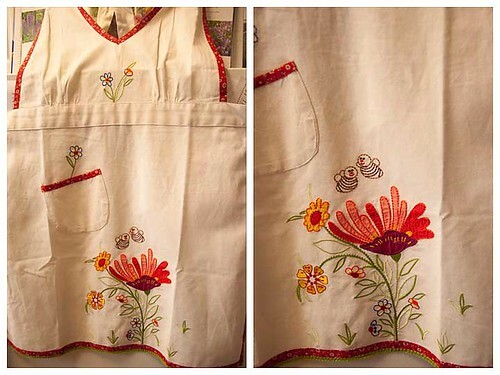 But I really need this apron. It is soooo stinkin' cute. 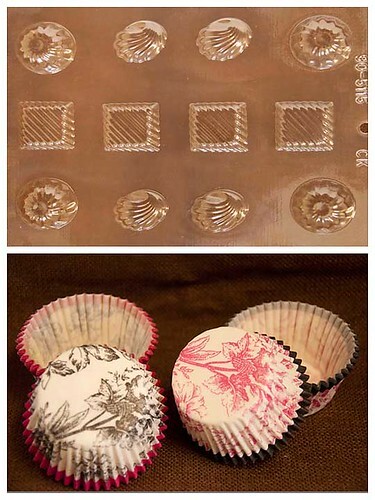 I also got a candy mold and these darling cupcake papers. While I'm sharing my latest finds with you; here is what I bought last weekend. 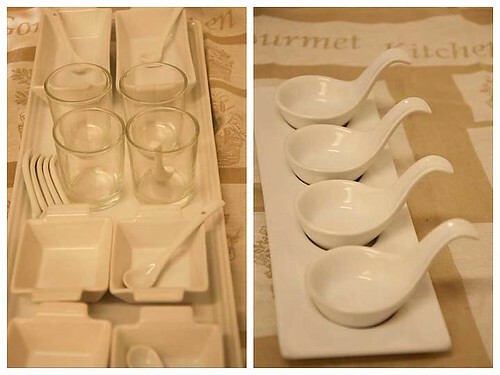 tasting sets. How cool is that. Not that I throw swanky cocktail parties, or that I'd ever be satisfied with one stinkin' little bite of something, but they were too cute to pass up and I can use some of them for mies en place. Or, I could fill all of them and eat it all myself. yeah, that's a great idea. 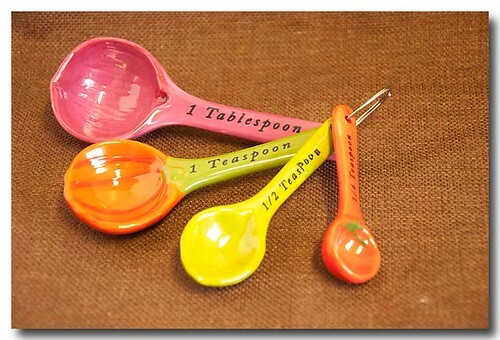 From World Market I found this cute measuring spoon set. It's ceramic and I checked, they are accurate.